I am shocked and saddened that Governor Cuomo and Democratic lawmakers have passed a new and even more liberal abortion law than New York State already had. Supporters say that late-term abortions occur very rarely, but that’s not really true. The most recent New York State Health Department statistics show that in 2016, 1,763 abortions were performed at 20 weeks of pregnancy or more. That doesn’t sound very rare to me. These are fully formed babies in the womb who can be legally destroyed by abortion. These are not “clumps of cells” or merely “parts of the woman’s body.” These are innocent infants, dozing, kicking and sucking their thumbs. And even if those infants have a genetic disease or a prenatal abnormality, they deserve the right to be born and to die a natural death. They do not deserve a violent death by abortion. On January 22, the New York State Legislature passed and the governor signed the “Reproductive Health Act,” an extreme new law that will allow late-term abortions for virtually any reason. Here’s why. The law adds a “health” exception to New York law, so that abortions are now legal in the final three months of a woman’s pregnancy if her “life or health” is endangered. Previously the law said that only if the mother’s “life” was in danger was a third trimester abortion legal. New York’s new abortion law went way beyond abortion. It legalized infanticide in the Empire State. It specifically removed a section of Public Health Law (Section 4164) that required medical attention and basic civil rights be given to any baby who accidentally survives an abortion. For what possible reason could the governor and lawmakers have supported this change in our law? Don’t we owe these born, helpless, voiceless infants basic medical care and protection? This has nothing to do with the woman’s right to access abortion (she’s already done that) or with shutting down abortion clinics (clearly they are still out there). We are talking about denying care and compassion to a living breathing member of our human family! Moving abortion from the criminal laws to the health laws in our state has already had at least one horrifying consequence. In February there were at least two cases of crimes committed against pregnant mothers and their unborn children, but no charges can be brought for the death of the innocent infants. In Queens County, a mother was heinously butchered to death with a knife, and so was her unborn baby. No charges can be brought by prosecutors for the death of that baby. In Rockland County, a man plowed down a pregnant woman after an altercation at a convenience store, resulting in a murder charge for the death of the woman, and no charge for the death of her baby. That’s because there no longer is an “abortion” crime in New York. Like most people, I was glued to the news about the boys’ soccer team lost inside a cave in Thailand. I prayed every day, first, that they would be found, and once they were, that somehow they could be successfully rescued. I rejoiced when they emerged from that deep, dark, wet cavern into the sunlight, and thanked God for the resiliency of human life and the strength of the human spirit. The entire world was riveted because each of those human lives was a vulnerable, innocent, unrepeatable gift, and they were miraculously saved. 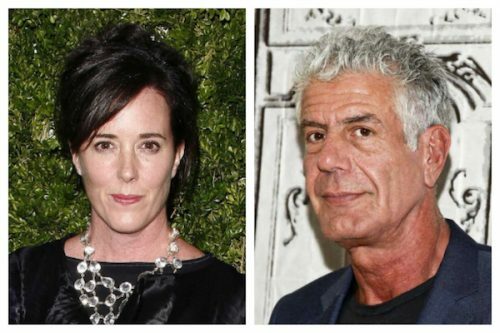 The recent suicides of designer Kate Spade and celebrity chef Anthony Bourdain highlight a deeply disturbing trend in the United States. Data from the U.S. Centers for Disease Control (CDC) reveals that suicides are climbing in the United States. The suicide rate went up more than 30% in half of the states around the country since 1999. In New York State, the increase was 29%. In just one year alone (2016) in the U.S., 45,000 lives were lost to suicide. It is now the tenth leading cause of death in the country. For certain this is a public health crisis. And I can’t help but think about how the legalization of physician-assisted suicide in some states may be contributing to this crisis. There’s a thing called “suicide contagion,” and it’s real – exposure to, and acceptance of, suicide will increase the risk of suicide to others. Take Vermont, for example, which enacted doctor-assisted suicide in 2013; their suicide rate has jumped almost 49%. Promote safe and supportive environments. This includes safely storing medications…to reduce access among people at risk. But wait, physician-assisted suicide encourages terminally ill suicidal people to bring those very medications home with them! Teach coping and problem-solving skills to help people manage challenges with their…health or other concerns. Physician-assisted suicide tells patients with health problems the very opposite – they can’t manage, so give up, lose hope, end it all. Offer activities that bring people together so they feel connected and not alone. A policy of physician-assisted suicide abandons people and leaves them isolated and afraid. We need to engage with them and accompany them so they will not feel hopeless. The same CDC website lists the 12 warning signs that someone might be at risk of suicide. The first one listed is “feeling like a burden,” one of the top reasons given by terminal patients for wanting life-ending drugs in those states which have legalized assisted suicide. This isn’t rocket science. Suicide is suicide is suicide, and we should be working hard to reduce its incidence among all people, for any reason. And that includes terminally ill people who may feel devastated, depressed, alone, and burdensome. We need consistent messages about suicide prevention. 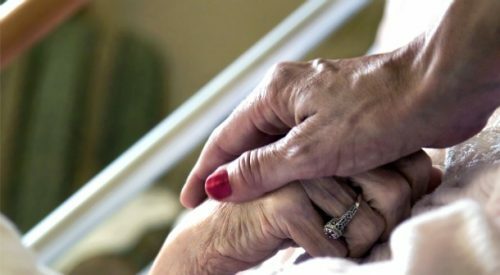 In a very revealing commentary published at jurist.org last month, long-time assisted suicide advocate Kathryn Tucker admits that the so-called “safeguards” included in physician-assisted suicide proposals aren’t really safeguards at all. In fact, she calls them “burdens,” “restrictions,” and “barriers.” She thinks it’s unfortunate that these restrictions are included in the laws of Oregon and Vermont, and laments the fact that the recently-passed District of Columbia Act includes them as well. New York State lawmakers should not be fooled. No strict “guidelines” or “safeguards” can prevent the financial pressures, mistaken diagnoses, subtle coercion and other dangers that will inevitably accompany a policy of legalized death-making. On Monday, May 23, the members of the Assembly Health Committee voted to release a dangerous physician-assisted suicide bill, A.10059/S.7579. Many opponents of assisted suicide were deeply disappointed, even discouraged. And rightly so – it was a step in the wrong direction for our state. But do not lose heart! There were actually some very encouraging signs in this vote. First and foremost, the bill got through the committee by only the narrowest of margins; just one more vote would have kept the bill in committee. That does not happen often in a committee that is purposefully stacked with anti-life votes. Second, six Democratic members of the Assembly (yes, six! ), five of whom are self-described “pro-cho ice” members, voted against the bill. Their votes demonstrate to their Democratic colleagues that this issue is not a liberal litmus test – one can be a self-described “progressive” and be deeply concerned about the vulnerable populations who will be harmed by this legislation. More than a few committee members – of both political parties — spoke of the unacceptable risks to the elderly, the isolated and people with disabilities that would come from legalizing assisted suicide. Finally, the bill did not move to the Assembly floor for a vote; it was simply sent to another committee, the Assembly Codes Committee, and no votes have been scheduled there. Nor are any votes scheduled in any Senate committees. The 2016 State Legislative Session is scheduled to conclude on June 16, and we are hopeful that this legislation will perish at that time, at least until next year, when we anticipate the battle will be rejoined. Please continue to pray for a Culture of Life, and continue to educate others — including your own elected officials — about the risks of legalizing physician-assisted suicide. Excellent resources can be found here and here. The state of Oregon is out with its most recent statistical report about how the assisted suicide law is working. The data (and it can’t be considered complete data because assisted suicide deaths are not reported as such under the law) is most revealing…and frightening. First off, there has been a marked spike in the reported number of patients requesting assisted suicide. From the time the law was enacted through 2013, the number of lethal prescriptions written increased about 12% each year. But in 2014 and 2015, the number of prescriptions written jumped by more than 24%. That is likely the result of branding and marketing by the suicide advocates, who used the face of Brittany Maynard to promote their cause. But contrary to that campaign, the Oregon data reveals that the typical assisted suicide patient is elderly, alone, dependent on others, and dependent on government health insurance. The top three reasons for requesting lethal drugs under the law are not reasons of physical pain or suffering; they are 1) decreasing ability to participate in enjoyable activities; 2) loss of autonomy; and loss of dignity. My colleague Ed Mechmann in the Archdiocese of New York does a great job of breaking down the numbers — and the dangers — in his column here. The full 2015 Oregon report is available here. The definition of “mercy” and the mission of Calvary Hospital in the Bronx were the inspiration for my Christmas column this year. I realize it is a bit tardy for the Christmas Season, but I believe the column is worthwhile reading for anytime during this Jubilee Year of Mercy. 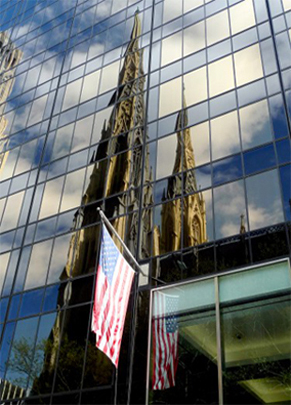 Take a look here, as published in The Tablet, the newspaper of the Roman Catholic Diocese of Brooklyn. By now you have probably seen, or at least heard about, the videotapes on which Planned Parenthood officials speak bluntly about trafficking in the organs and tissues of aborted babies. Here’s my take, as published in The Tablet, the newspaper of the Roman Catholic Diocese of Brooklyn. 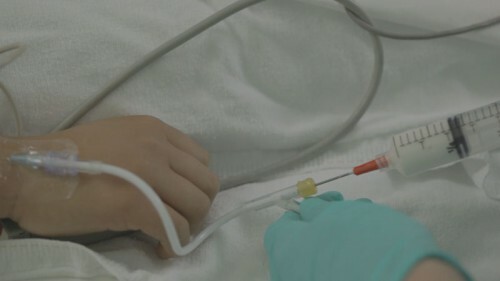 Legislation to legalize physician-assisted suicide has been introduced in New York State, and organizations like Final Exit Network are all in. 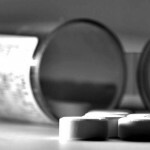 They say that absolutely no abuses have taken place in states where doctor-assisted suicide is legal.